At Canyon Ridge Pediatric Dentistry, we can provide your child with mouth guards that can serve to protect the teeth. You only get one permanent set of teeth, making it critical to take the steps necessary to preserve them. 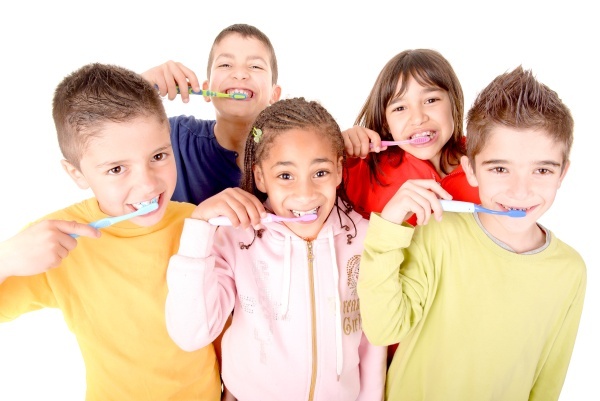 Dr. Marc Thomas, always recommends starting by keeping your child’s teeth healthy. When your child’s teeth are free of decay or infection, they will be stronger and less likely to become damaged in an accident. To keep your child’s teeth healthy and strong, we suggest visiting our Parker, CO dental office twice a year for a routine teeth cleaning. You can schedule an appointment by calling (303) 390-5183. No matter how healthy a child’s teeth are, there is always a chance they will become damaged in an accident. A mouth guard can help to prevent accidents that could be harmful to a child’s teeth. There are several types of mouth guards that your child can wear to protect his or her teeth from a sports-related dental injury. You can buy a one-size-fits-all solution at the drugstore, but there is always a risk that it will become loose and slip out of place when your child needs it most. You can also purchase a kit that requires you to boil the guard and then fit it to your child’s teeth. Since this form of mouth guard was not professionally created, it can be amateurish in how well it fits. We recommend you visit our dental office, so that we can take measurements and make an impression of your child’s mouth. This way, a mouth guard can be created in the lab to the exact specifications of your child’s teeth. At Canyon Ridge Pediatric Dentistry, we are confident that when your child wears one of our guards, his or her teeth will be protected from the majority of dental injuries that occur when playing sports. It is common for our Parker patients to be interested in mouth guards but not sure if they will be comfortable with the appearance of one. This is perfectly natural since most people do not want to stand out wearing too much protective gear. Fortunately, our mouth guards are created using clear plastic, so they blend in with the rest of the mouth. If your child puts the guard in when no one is looking, it is unlikely that anyone will notice it during practice or the game. This is another advantage of visiting our dental office for your child’s mouth guard. The guards sold at the store are often made of a bright color and do not fit perfectly. Due to this, store-bought mouth guards can come loose during play and stand out even more. However, if your child would prefer a bright colored mouth guard, we can discuss creating one for your child in the right size. Primarily, mouth guards are necessary when practicing or playing sports. Most people, especially adults, do not realize how common it is to sustain a face or mouth injury during a sports game. Not all sports require players to wear mouth guards like football. Basketball is an example of a sport that does not require players to wear a mouth guard. As a result, basketball players have a high rate of facial injury. In fact, according to the American Dental Association, the risk of sustaining an injury is 1.6 to 1.9 times higher when not wearing a mouth guard. Dental mouth guards are so effective at preventing injuries that the ADA estimates, 200,000 injuries are prevented every year by wearing this small and simple device. If you are a Parker parent looking to keep your child safe during sports, a mouth guard is an easy way to do so. Check out what others are saying about our mouth guards on Yelp: Mouth Guards Parker. At Canyon Ridge Pediatric Dentistry, Dr. Marc Thomas, encourages parents to buy a mouth guard for their children involved in sports. This can be an organized sport or the weekly game of basketball in the park. Not wearing a mouth guard can cause your child’s tooth to break, crack, chip or even become knocked out. A runaway ball to your child’s face or an elbow jab to the roof of the mouth can greatly damage your child’s teeth. If the impact is particularly strong, a tooth could be forced upwards into the gums or could pierce through the cheek– both of which can be incredibly uncomfortable and lead to a dental emergency. 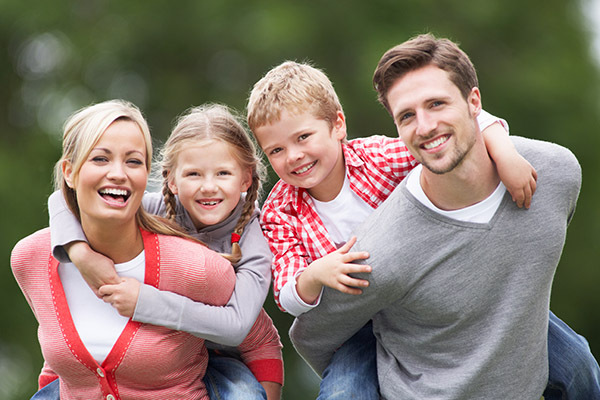 Once you have made the decision to protect your child during sports, the best thing to do is schedule an appointment with our Parker, CO dental office. We can examine your child’s teeth, take measurements, make an impression and have a custom mouth guard created. As a result, your child will have a device that has been made to his or her exact specifications. A custom mouth guard will remain in place no matter how fast your child runs, how high your child jumps or how hard your child hits the ball. Playing sports can be rough and require all of your child’s energy. Therefore, your child needs a mouth guard that can stand up to those demands. When you visit our dental office that is exactly what you will get. Yes, when you visit our office for mouth guards, we can create one that fits perfectly and is affordable for your family. While you will pay more than what you would pay for a mouth guard from a store, your child will be getting a better quality and fit. The difference is certainly worth it when it comes to protecting your teeth and saving money down the road. Dr. Marc Thomas, recommends taking the mouth guard out and rinsing it immediately after your child wears them. Your child should keep the guard in a safe case and then, when you are home, brush it with a soft toothbrush and lukewarm water. This is the best way to ensure plaque does not build up on it. Your child should typically not use toothpaste since the paste can be abrasive. If you would prefer a special cleaning solution, let us know and we will make a recommendation as to what is available on the market at that time. Start protecting your children today by having a custom mouth guard created. Call 303-390-5183 to schedule an appointment with our dental office.